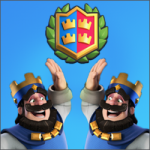 Fireball challenge: 6 wins | Clash Royale fan-site! 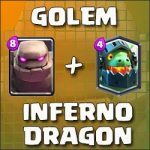 The Fireball challenge has started in Clash Royale! 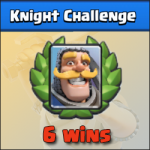 As in every special challenge, there is only one free attempt to get six victories and gather the highest reward that consists of 20 Fireball cards, 590 of gold and chest with 23 other cards. In the current event, I’ve managed to get a six victories in a row with no losses… And here is written how I did it with video confirmation of activity log, two last battles and the reward chest opening. 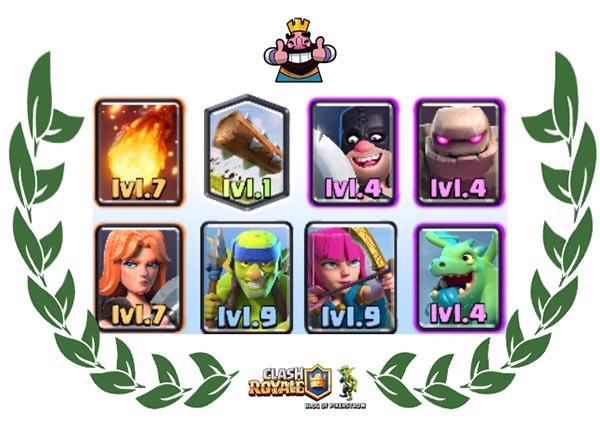 – There should be cards with low cost of elixir in the deck that deploy several units on the arena simultaneously. Golem. The main card in the deck. My whole attack based on this card. Executioner and Baby Dragon. The main purpose of these units is covering of golem on his way to the target. These characters suits this task perfect because they can attack ground targets as well as flying ones. Note: this is very important that units, which are chosen for Golem defensing, were able to defend it from the ground threatening as well as from the air ones. Archers and Spear Goblins. Mostly for defense. Their low cost and ability to attack both air and ground targets were the main reasons I’ve chosen them. Valkyrie. For defense purpose only. She’s very good in defense against mass of enemies with low hitpoints. 1) As I’ve written before, the whole attack should build around the Golem. If you have an ability to put him onto arena immediately after battle beginning – do it! This is great psychological trick. In such case an opponent will keep his eye on it all the time and will be constrained in card choice for own attack. 2) If your own tower is under attack – don’t be in panic and don’t throw cards on the arena chaotically. If you gather enough of elixir, put your card near the tower in such way it can attack the enemy but can’t be under attack. This allow to destroy enemy and keep the unit what is great before own counterattack. 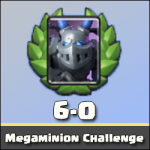 3) Try to avoid such cases, when your Golem attacks without any defense (don’t put it on the arena immediately after gathering of 8 drops of elixir). It’s increases chances of failed attack. Just wait a few more seconds and spawn him with defense. And there is video of my last two battles (very nervously endings) and the reward chest opening. That’s all. Hope this post will help you to win a challenge and gather your reward. « Great all skeleton tactic: “Skeleton party”!